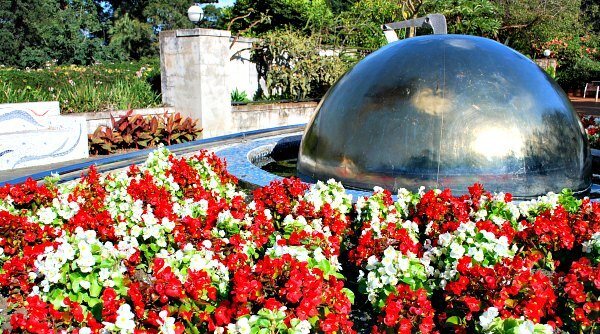 At the right time of year, Durban Botanic Gardens are awash with vibrant colour. To be honest, it’s worth visiting at any time of the year for a relaxing escape from the busy city. There’s a real breadth of features here, including the lovely tall trees, the water features, lawned areas and garden structures. The gardens date back to 1849 and you don’t need to be a plant expert to enjoy what you’re seeing, because they’re so pretty! The gardens also play host to events throughout the year like music concerts. 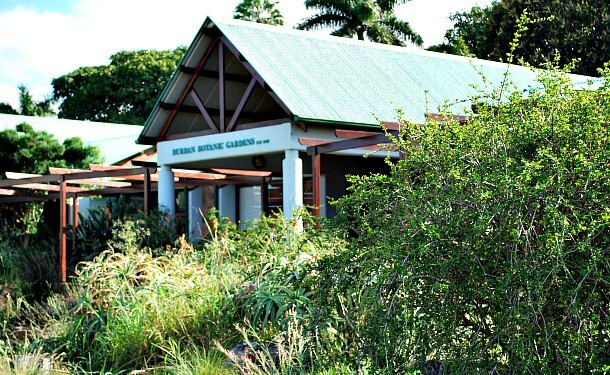 Durban Botanic Gardens covers an area of around 15 hectares and once you enter through the new entrance building you’re faced with a number of pathway options leading in different directions. This first area is very formally laid out with grass, trees and pretty flower beds. 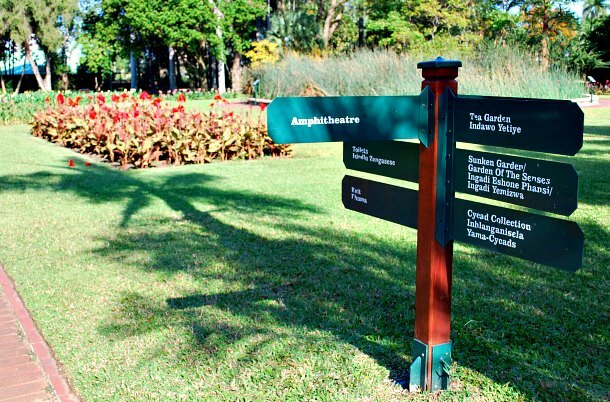 Every so often you’ll find a handy signpost to point you towards different features in the gardens like the sunken garden, the amphitheatre and the tea garden. The gardens are particularly known for their cycad collection from all over South Africa but also other parts of the world. There are collections of ferns, orchids, palms and bromeliads too. The gardens have also become a successful outdoor music venue including the regular ‘Old Mutual Music at the Lake’ concerts. If that’s not your cup of tea, then there are events like Victorian Tea Parties from time to time as well. 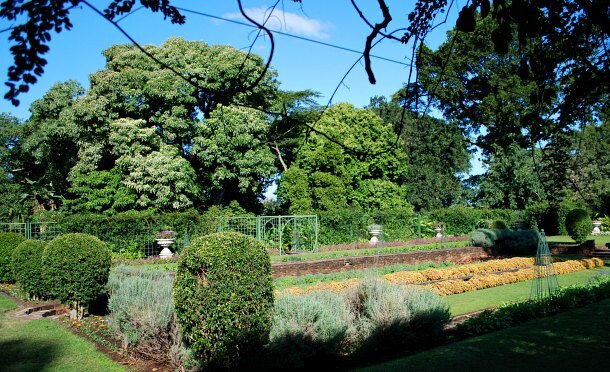 Durban Botanic Gardens are open daily from 7.30am with closing times varying depending on the time of year. Typically the gardens close around 5pm. Durban Botanic Gardens has its own free car park for visitors. There is often a car guard on duty, so don’t forget to tip around 5 Rand when you leave.